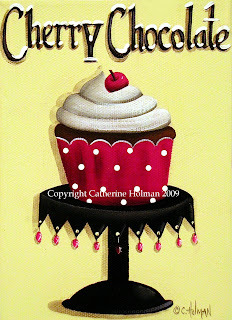 My new favorite is anything with red and white polka dots. 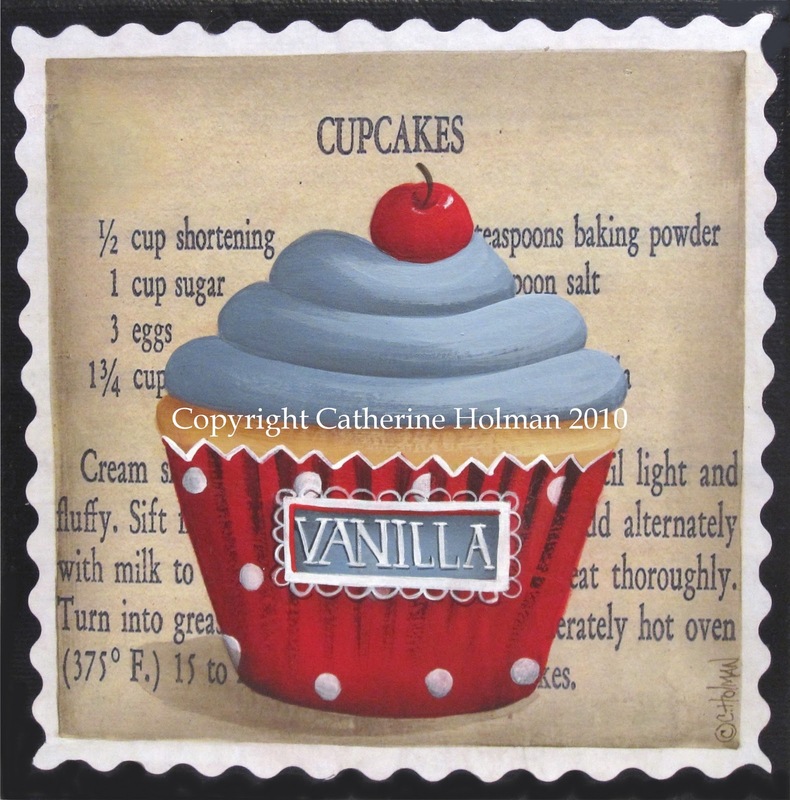 I have lots of red and white dotted cupcake prints available in my Etsy store that would make a great Valentine's Day gift too. Anyone else crazy about red and white polka dot? Cathie, I love all the red and white!! Polka dots are one of my fav things! Great post! Love the Cake plate!!!! and of course your paintings. Hugs! 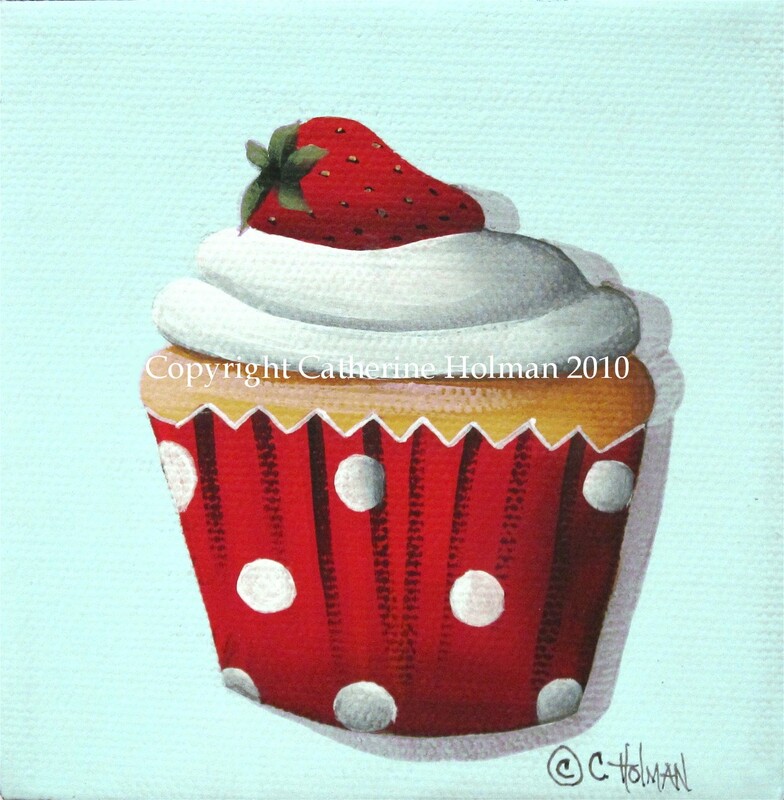 Just adore red & white - especially when it comes to polka dots!! 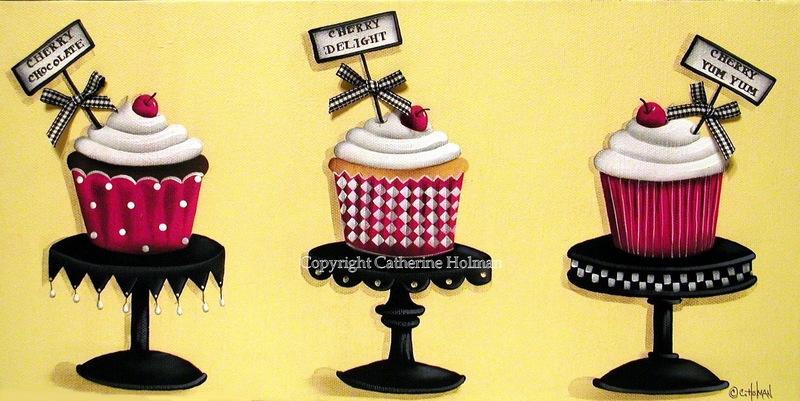 AND, one of your paintings :) Fantastic idea for the candlestick & plate!! Red and white polka dots make me happy! 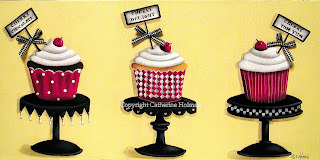 Love your boots, Cathie, and what a great idea for a cake stand. Love your cupcakes too, all of them! (especially in red and white). I love the red and white too! Cute boots, wish I had a pair of those.....even more cute than the boots would be the paintings! 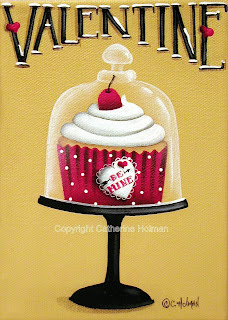 I love your "new" cake plate and all your wonderful cupcakes! Polka dots do make one happy and yours are no exception. It is so good to be in touch with you again! Catherine I LOVE your red and white polka dot boots! How sweet. You know...I once saw a pair of cute boots used as a flower pot in a magazine once...makes me start thinking of spring. Your cupcake paintings are adorable. 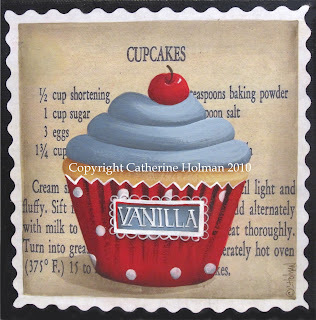 Once I get my kitchen painted I'm going to visit your shop :) Have a wonderful weekend!